BOEHNER: And the government mortgage companies that triggered the whole meltdown went untouched. -More than 84 percent of the subprime mortgages in 2006 were issued by private lending institutions. -Private firms made nearly 83 percent of the subprime loans to low- and moderate-income borrowers that year. For more on the disingenuous Republican claim that the FCIC report on the financial crisis is invalid and partisan, READ HERE. CLAIM: Speaker Boehner Claimed The Recovery Act "Hurt Our Economy And Hampered Private Sector Job Creation"
BOEHNER: The rash of 'stimulus' legislation passed by Congress in recent years has been one of those obstacles. 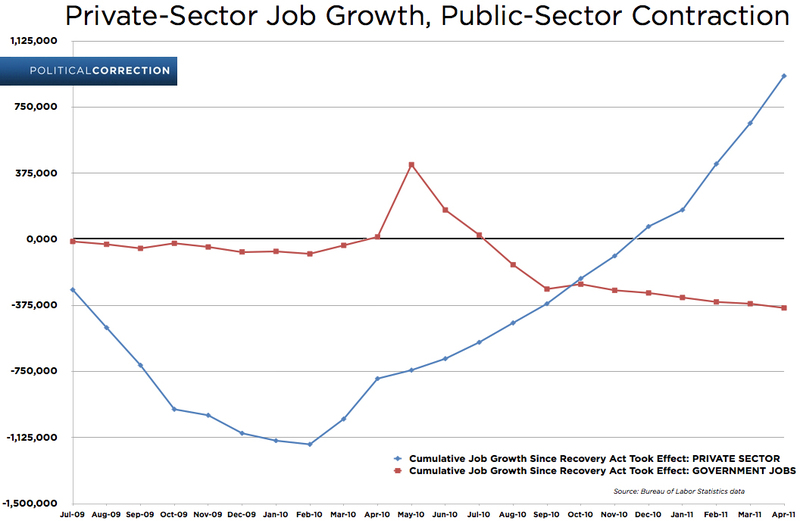 The recent stimulus spending binge hurt our economy and hampered private sector job creation in America. 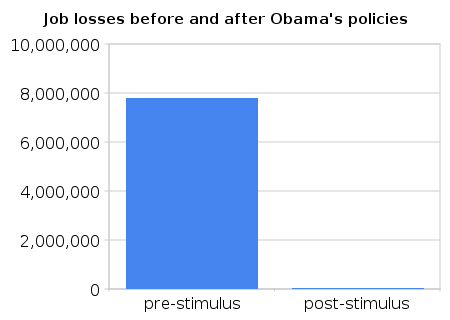 [...] Americans were told the stimulus would create millions of new jobs, and that most of them would be private sector jobs. It didn't happen. CLAIM: Speaker Boehner Claimed That When The Recovery Act Passed, "Job Creators Were Looking For Certainty"
BOEHNER: Job creators were looking for certainty. You don't get long-term certainty from short-term government programs. The lesson of the stimulus era is that short-term government intervention is no substitute for long-term economic investment, private initiative, and freedom. 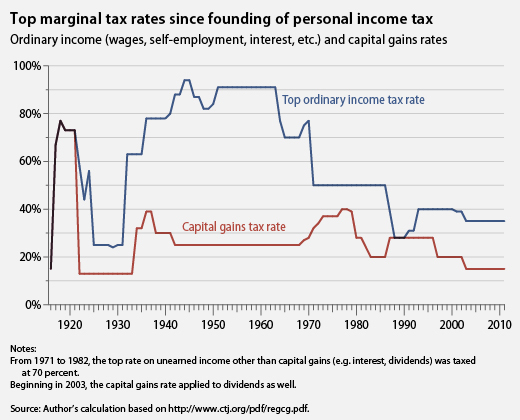 As you can see, sales -- that is to say, demand for their products -- dominate the chart, while fear of taxes is lower than in the '90s. The concern over sales is understandable. Not only is the economy bad. But as the next chart shows, it keeps underperforming what the businesses assume will happen. BOEHNER: We've also seen the arrogance of government recently in the skyrocketing gas prices our citizens and businesses are dealing with. There's a clear connection between high gas prices and the weak dollar that some in Washington have quietly welcomed over the past couple of years. It's well known that when you print tons of money, the dollar sinks, and the price of food and energy rises -- significantly. Yet the American people are told there is nothing that can be done about it. This is simply untrue. CLAIM: Speaker Boehner Implied That Expanded Drilling In The U.S. Would Lower Gas Prices, But That Government Has Energy Resources "Under Lock And Key"
BOEHNER: Washington has also kept most of our nation's vast energy resources under lock and key for decades, over the clear objections of the American people -- the people who own those resources. 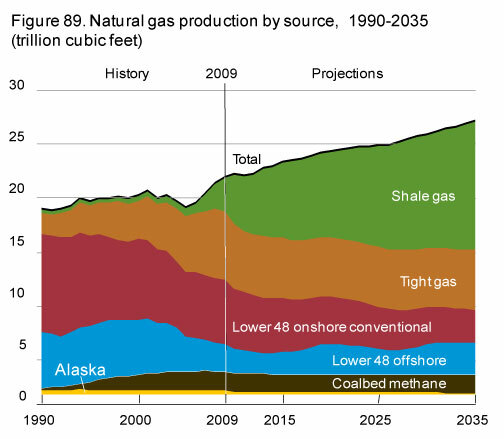 If we had listened to the people decades ago -- or even a few years ago -- many of these resources would be available to us right now to lower the price of energy. 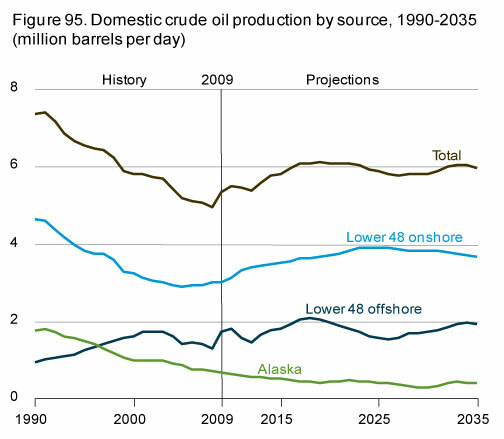 FACT: More Drilling Would "Not Have A Large Impact On Prices"
For more on the conservative misinformation campaign on the Obama administration's energy policies, READ HERE and HERE. CLAIM: Speaker Boehner Suggested That "Addressing The Drivers Of Our Debt" Through Taxation Would Mean Acting "In Defiance Of The Will Of Our People"
BOEHNER: To increase the debt limit without simultaneously addressing the drivers of our debt -- in defiance of the will of our people -- would be monumentally arrogant and massively irresponsible.[...] And with the exception of tax hikes -- which will destroy jobs -- everything is on the table. BOEHNER: I would note that my colleagues and I are not calling for tax cuts in our budget. There's a nice symmetry to the House Republican budgeteers' idea of cutting the top tax rate for the very wealthy to 25 percent. The spending side of their budget would go a long way to giving us Herbert Hoover's economy, so why not have their tax rate on the rich match Hoover's? In fact, we haven't had a top rate that low since Hoover lost his re-election bid to Franklin Roosevelt in 1932. 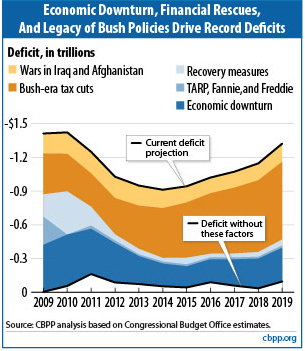 For an explanation of why cutting taxes for the wealthy will not speed the economic recovery, click here. BOEHNER: It's possible to make changes in a way that will ensure future beneficiaries will have access to the same kinds of options as Members of Congress currently have. The budget put forth by our Budget Committee Chairman, Paul Ryan of Wisconsin, accomplishes this. Now let's look at how whether proposal looks like what members of Congress can buy. How the plan is like what members of Congress get.We contacted Pence's office to ask about how the Ryan proposal is like what members of Congress get, and they pointed us to the fact that Medicare plans from private insurers will be required to comply with a benefits standard set by the U.S. Office of Personnel Management, as do plans that cover members of Congress. We should also note that seniors would be able to compare different plans and select from different insurance options, as members of Congress do. The government would pay part of premiums, as it does for members of Congress. Second, as Van Hollen pointed out, members of Congress are protected somewhat when health insurance companies raise their rates, through a formula he mentioned known as "Fair Share." Generally speaking, the government pays for 75 percent of the average of the health insurance plans it offers. If the overall plans increase in price, the government still pays 75 percent. Federal support for premiums in Ryan's plan, though, would not keep pace with medical inflation. Premium support instead would be pegged to the consumer price index, which historically lags health care costs. Our final point on how the plans differ may seem obvious to some, but we feel it's important to mention: Members of Congress receive employer-based insurance. By definition, that means they receive a salary to help pay for their insurance. The base pay for members of Congress is currently $174,000. For a much more detailed look at the GOP's vision for entitlement reform, READ HERE.